300,000 Rohingya living in the Cox’s Bazar district belong to 37,000 families – 20,000 exclusively Rohingya families and 17,000 mixed with Bangladeshi and Rohingyas who married between Bangladeshis and Rohingyas, according to reliable sources in Cox’s Bazar District Statistics Office. 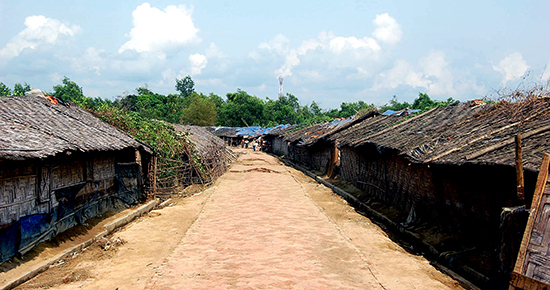 Apart from more than 32,878 registered Rohingyas along with their 5,000 unregistered children live in two refugee camps – Nayapara and Kutupalong under Cox’s Bazar, about 17,000 unregistered Rohingya have been living in temporary sheds in a village named Leda under Hnila since 2008 and around 35,000 unregistered Rohingyas can be seen living near the Kutupalong camp called unregistered Kutupalong makeshift camp, some are living in the local areas of Cox’s Bazar which a total of about 300,000 Rohingyas are living without registered in the district as government banned to register the Rohingya since 2005, according to the reliable sources. The Rohingyas community living in cox’s Bazar is much more and other district – Chittagong, Dhaka, Patuakhali, Khagrachari, Bandarban and Rangamati. and other- have also living Rohingyas. A total of Rohingyas in Bangladesh is about 500,000, according to NGOs and individual account. The statistics came from the first round of government census, held from February 1 to 23 to identify Rohingya families in Bangladesh and the second and final phase of the census, which was to identify Rohingya individuals, took place from June 2 till June 13. Its results could not be known yet. “We want to collect information about the undocumented Burmese nationals residing in Bangladesh and that’s why, we conducted the census,” said Foreign Secretary M Shahidul Haque, briefing foreign diplomats about the census on Rohingya on June 20 in Dhaka. “We expect to get the final result of the census by November or December,” the Foreign Secretary said. The objective of the census is to collect information about Rohingya and to know how many undocumented Burmese nationals are living in Bangladesh. But, we don’t have any intention to force them to go back to Burma,” the secretary added. Another official of the foreign ministry seeking anonymity said the diplomats wanted to know about the future of Rohingya and what is the purpose of conducting the census. According to the office of Relief and Rohingya Refugee Repatriation Commissioner (RRRC) in Cox’s Bazar, about 250,000 Rohingyas entered Bangladesh in 1978 fleeing from Burmese government’s “Dragon Operations” in Arakan (Rakhine) State. Almost all of them were sent back through mutual understanding between the two countries – Bangladesh and Burma in 1979, according to RRRC. Similarly, again, over 250000 Rohingyas entered Bangladesh through Cox’s Bazar and Bandarban border points in 1991-92. 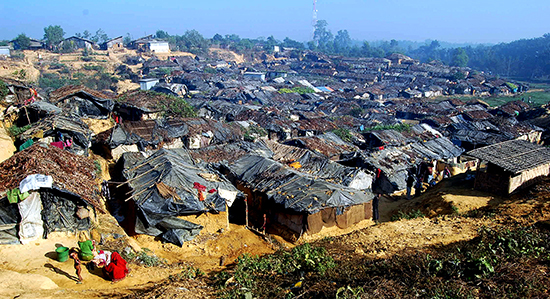 The Bangladesh government then set up 21 temporary camps for them in the two districts, according to RRRC. With the help of the United Nations High Commissioner for Refugees (UNHCR), the government registered the names of Rohingya refugees in these camps. Of the 21 refugee camps set up between 1991 and 1992, only two now exist — one at Nayapara in Teknaf upazila and the other at Kutupalong of Ukhia upazila under Cox’s Bazar. Sources in the RRRC office said a total of 236,000 Rohingyas have been repatriated from 1992 to 2005 with the help of the UNHCR through discussions between the two countries. According to the RRRC office, the last batch of Rohingyas — two members of a family — were sent across Teknaf’s Naf river to Burma on July 28, 2005. Though repatriation of Rohingyas has remained stalled since 2005, the Rohingyas community have not stopped coming to Bangladesh. Following a large-scale attack on Rohingyas in Burma in June and October of 2012, thousands fled the country and tried to enter Bangladesh, despite Bangladesh government’s strict measures for not allowing anymore Rohingyas. After the repatriation stopped in 2005, the Burmese government had agreed to take back only 9,910 Rohingyas out of the 32,878 registered refugees in the two camps, after extensive dialogue mediated by UNHCR between Bangladesh and Burma. After the Rohingya repatriation came to a halt, high-level government delegations have visited Burma and requested the country to solve the refugee problem. Burma has time and again assured Bangladesh of taking back the Rohingyas, but there has been no visible measure from the country yet. This entry was posted in English, News and tagged Arakan, Bangladesh, Burma, Census, count, Rakhine, Rohingya. Bookmark the permalink.